Forensic psychology is a subfield of psychology in which basic and applied psychological science or scientifically-oriented professional practice is applied to the law to help resolve legal, contractual, or administrative matters (Neal, in press). “Forensic” comes from the Latin word for “court,” and “forensic psychologists” are psychologists who help courts make decisions about people when some question related to psychology is involved. Thus, forensic psychologists typically are involved in cases “pre-adjudication,” which means before the legal decision is made, and they help courts make informed decisions about cases. Forensic psychologists provide services (e.g., assessment, treatment, presentation of research) explicitly for the purposes of informing a legal decision (e.g., performing a child custody evaluation to inform the court’s upcoming decisions about parenting time and rights in a divorce decree, conducting competency restoration treatment services in an attempt to restore trial competency so that the defendant can be adjudicated “competent” and move forward with their ongoing legal case, providing a summary of the research data about factors that contribute to a false confessions or mistaken eyewitness identifications while the case is ongoing). For more information about the role of forensic psychologists, see this chapter. 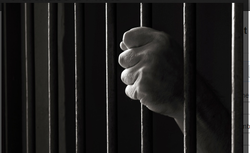 Correctional psychology is a subfield of psychology in which basic and applied psychological science or scientifically-oriented professional practice is applied to the justice system to inform the classification, treatment, and management of offenders to reduce risk and improve public safety (Neal, in press). Any type of psychologist (e.g., clinical, counseling, developmental, social, cognitive, community) can engage in correctional psychology by applying the scientific, technical, or specialized knowledge of psychology to reduce offender risk and improve public safety. Correctional psychologists are involved typically post-adjudication (such as conducting research on the psychological effects of prison or probation conditions; treating prison inmates; providing assessment services to inform treatment, classification). The prison population in the U.S. has been growing at an explosive rate over the past few decades, corresponding with the deinstitutionalization movement from state hospitals. The U.S. incarcerates more people– including people with mental illness – with a much higher incarceration rate per capita than any other country in the world. Correctional facilities have become the largest provider of mental health services in the country, with the Los Angeles County Jail now serving as the country’s largest psychiatric treatment facility. These two fields - forensic and correctional psychology - are related by their historical roots, their involvement with the legal system, and the shared population of mentally ill individuals they serve. Historically they emerged at about the same time and early writings about "psychology and the legal system" and "psychology in criminal justice settings" did not differentiate these two fields. However, two separate but related paths for psychologists in legal settings evolved. These two paths evolved unique training traditions, service foci, professional organizations, and even ethical codes/guidelines. Check out Tess Neal's paper in American Psychologist on this topic: "Forensic psychology and correctional psychology: Distinct but related subfields of psychological science and practice."